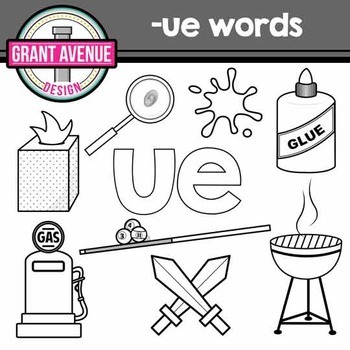 Vowel Teams "ue" clipart set has graphics that help teach and reinforce the long e vowel sound with words that have "-ue" in them. This clipart set includes 18 images, 9 in color and 9 in black and white. 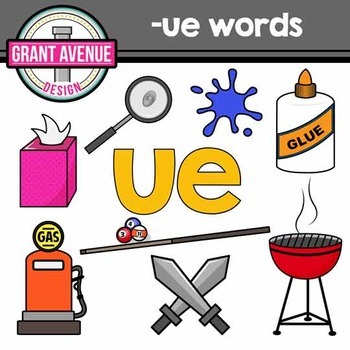 glue, clue, blue, tissue, barbeque, fuel, duel, cue and the letters "ue"